Content marketing has received a lot of coverage in the business media and blogosphere for its power to cultivate strong relationships with current and prospective customers. What many people don’t realize, however, is that it generates a wealth of data that can help marketers increase the effectiveness of their content initiatives. From page email opens and web page visits to click-throughs and downloads, today’s marketers have access to a mountain of data they can use to increase their effectiveness. There’s no excuse for making content strategy decisions based on hunches any more. What can this data reveal? Content engagement data can provide you with a wealth of useful insights, which you can use minimize waste and focus your scarce time and resources, justify your investment in content marketing and identify new opportunities. Here are some of the ways in which savvy content marketers are using data generated by their content initiatives to significantly improve their effectiveness. Which one can you adapt to your needs? Measure which variations of content are most popular with your target audience (A/B testing)? Make the case for scaling back or eliminating content types that are not getting adequate engagement (everyone has their “pet” project that they will defend to the death. Data can help you justify the death of these unproductive content projects). Create personalized experiences for key prospects and customers. Develop rich storytelling opportunities from the data you’ve collected and the inferences you can draw from it. Track the performance of your guest posts and external content, to help you zero in on the best platforms where you can share your expertise. Identify your marketing staff or outside contributors whose articles get the greatest engagement, and have your other contributors seek to emulate his or her writing and storytelling style. Refine the topics you’re writing about to better focus on the needs of your target audience. Determine the optimum length of content that resonates with your target audience. Measure and compare the number of leads and inquiries generated by each marketing channel. Focus on those that deliver the best ROI. Create content or reports based upon the data you have compiled. Companies like Uber, Mint, OKCupid and Optimizely do a masterful job of this. Tailor your content strategy to accommodate evolving customer trends. 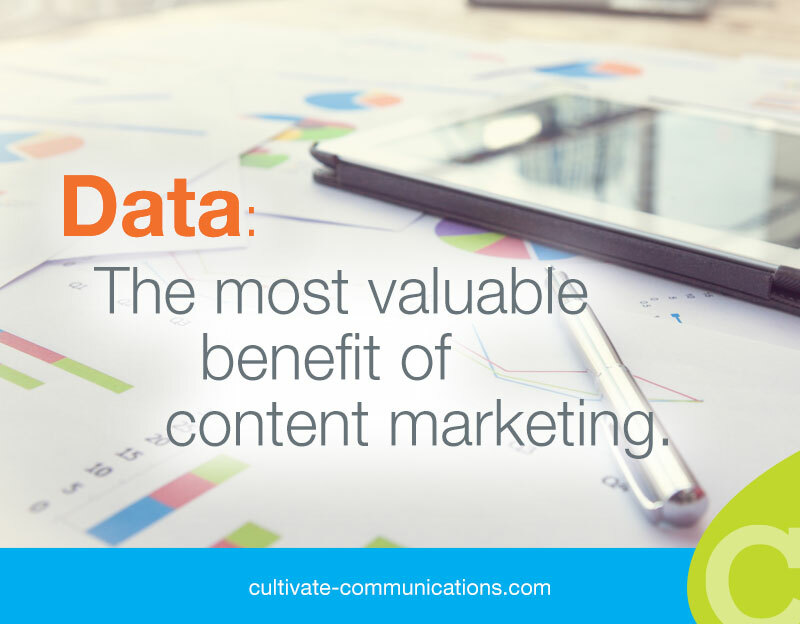 As you can see, there are a wealth of ways in which you can use data to enhance your content marketing initiative. But don’t get overwhelmed by all of the possibilities. Pick several that are aligned with your marketing priorities and use the insights you gain to increase the effectiveness of your customer communication. Then select the next group and repeat this process.